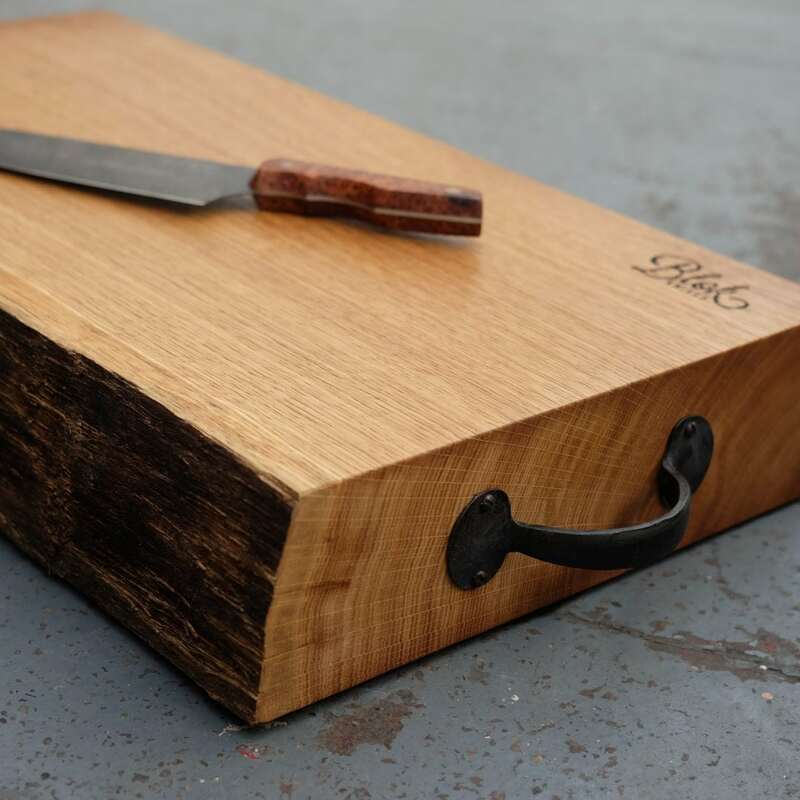 Quarter-sawn English Oak chopping Board. 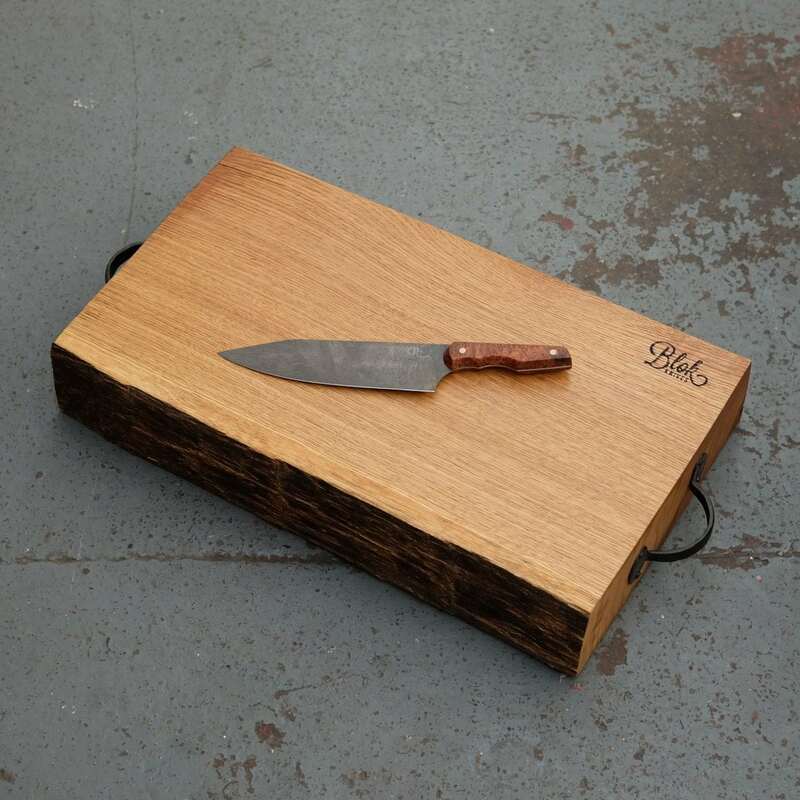 Soaked in Raw Linseed oil and lavished with our own blend of beeswax and walnut oil. 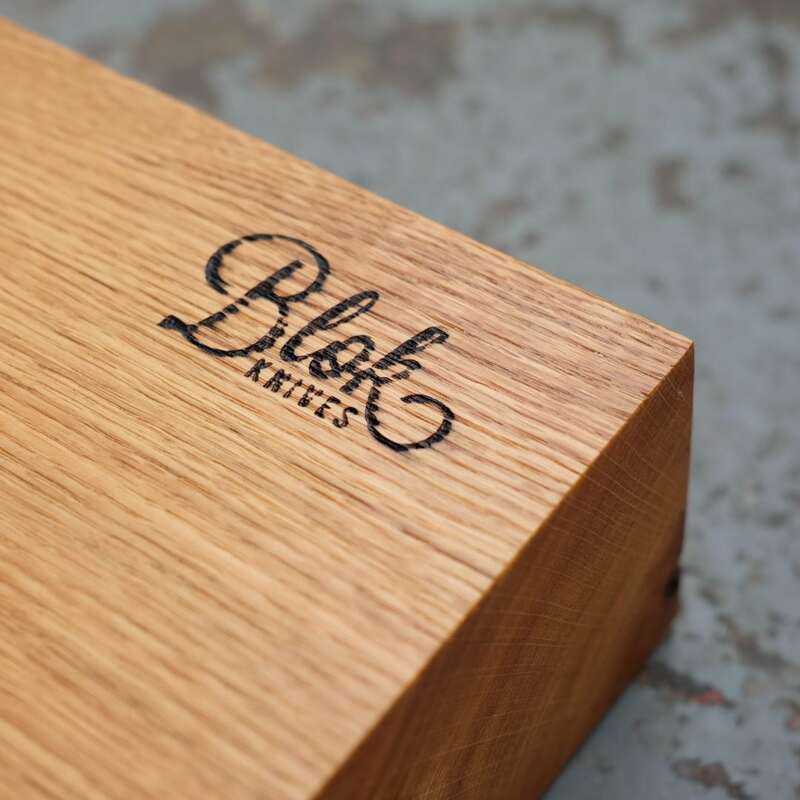 Forged handles with scorched Blok Knives logo. PLEASE NOTE: These boards may slightly vary in size and wood grain. 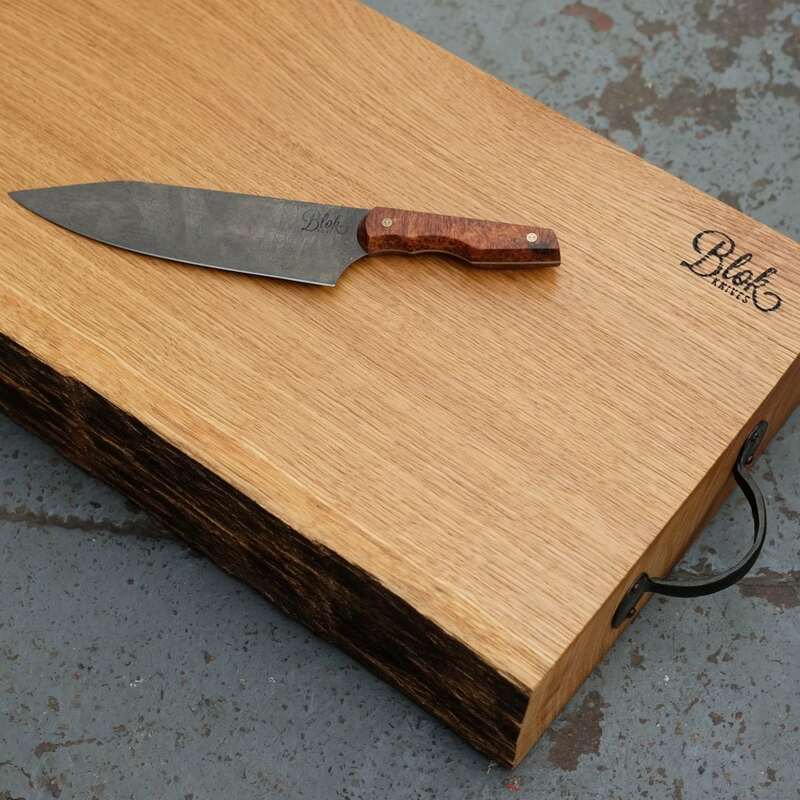 My chopping board arrived this morning & I’m yet to use it; in fact it’s so beautiful I don’t want to ruin it!! It’s a real beauty and it WILL get a lot of use!